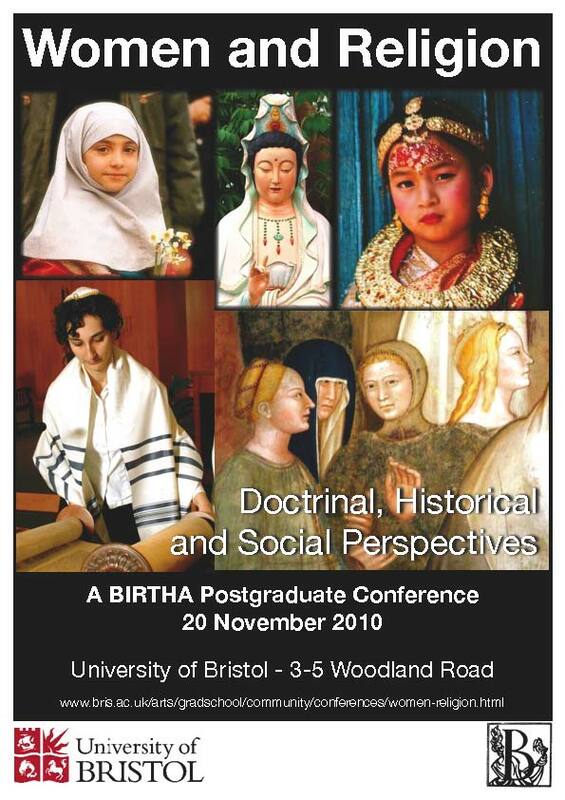 This interdisciplinary conference seeks to bring together doctoral researchers and early career academics from a variety of disciplines and fields to explore the role and place of women in religion encouraging research and collaboration in the University of Bristol itself, and with other Universities both within the UK and abroad. · The Ordination of Women: Controversy in Different Religious Traditions? We are also accepting submissions of posters, to be composed in A1 format (594×841 mm, 23.39×33.1 in). Six posters (two for each of the above themes) will be selected to be exhibited at the conference venue. Poster authors will have the opportunity to discuss their work with participants during tea and lunch breaks. Please send your abstracts of 500 words or less and posters, both in .pdf format to Jinho Fashi (thzmc@bristol.ac.uk) AND Massimo Rondolino (m.rondolino@bristol.ac.uk). The deadline for receipt of abstracts and posters is 10 September 2010. It is hoped that an edited volume arising from Conference proceedings will be published after the event. Participation to the conference is free, and includes lunch and refreshments. Some help may also be available to assist speakers and poster presenters with travel expenses.